Republican Ed Gillespie, Democrat Ralph Northam and Libertarian Cliff Hyra have outlined key differences on matters such as two proposed natural gas pipelines and solutions to recurrent flooding on the state’s coast. In general, Gillespie favors robust extraction of fossil fuels. Northam opposes offshore oil drilling and a natural gas drilling process called fracking in Virginia, and wants greater environmental protections. Hyra opposes two proposed natural gas pipelines but supports an end to Virginia’s ban on uranium mining. Big money is involved too: Gillespie has received hefty funding from donors in the oil and gas industry while Northam is backed by environmental groups and billionaire activist Tom Steyer. Virginia has several pressing energy and environment concerns, including rising sea levels that threaten to devastate the economy of the Hampton Roads region and swallow up Tangier Island. Hampton Roads is home to the world’s largest naval base in Norfolk and a significant chunk of the state’s economy. It’s one of the most endangered areas in the country and could see a 5-foot sea level rise (1.5 meters) by century’s end, according to some estimates. Even a 3-foot (.9-meter) rise could permanently inundate as many as 176,000 residents, according to a 2012 report from the Hampton Roads Planning District Commission. There’s been a heated debate in recent years over two proposed pipelines that would carry natural gas across West Virginia into Virginia. The companies involved and their supporters say the pipelines will deliver cheap and abundant energy that is cleaner than coal, and they’ve promised billions of dollars in economic benefits. But opponents say the projects will infringe on landowners’ property rights, damage pristine areas and commit the region to fossil fuels just when global warming makes it essential to invest in renewable energy instead. Other issues the next governor will deal with include President Donald Trump’s push for offshore drilling in the Atlantic, whether the state should allow fracking, and efforts to mine Virginia’s substantial uranium deposits. In general, Gillespie favors robust extraction of fossil fuels while Northam opposes fracking in Virginia and offshore oil drilling and wants greater environmental protections. Gillespie and Northam generally agree that the state needs to be more active in helping Hampton Roads deal with its rising sea levels. Gillespie’s plan largely focuses on helping residents, business and localities get low-income loans to help improve infrastructure and mitigate future flood damage. 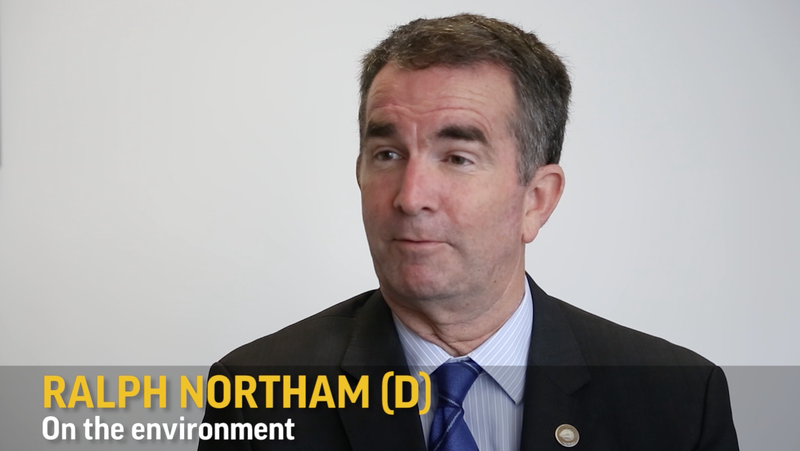 Northam has criticized Gillespie’s plan for not specifically addressing climate change, a root cause of the rising sea levels. Northam supports current Gov. Terry McAuliffe’s plan for Virginia to limit carbon emission from power plants, a plan Gillespie has said would hurt the economy. Gillespie enthusiastically supports the two proposed natural gas pipelines. Northam has neither endorsed or opposed them, saying only that they should meet strict environmental safeguards if built. 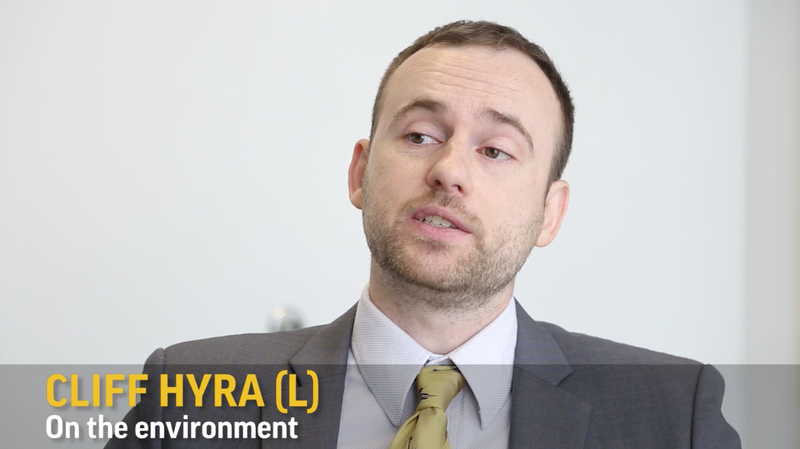 Hyra sets himself apart as the only candidate who opposes two proposed natural gas pipelines, saying private property owners shouldn’t be forced to hand over their land to a private company. Hyra also stands alone in his support for ending the state’s ban on uranium mining. 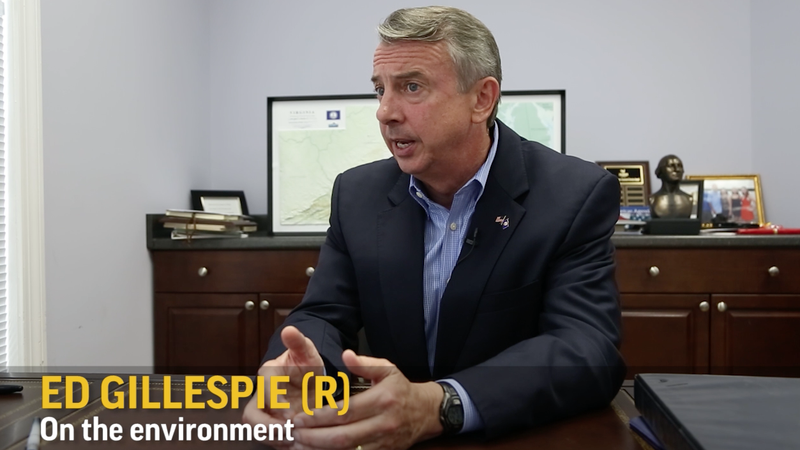 Both Gillespie and Northam oppose uranium mining in Virginia. This is the fourth in a series that will look at issues facing Virginia ahead of the Nov. 7 election.